Taro de Chimida is accessed via imposing entrance and exit gates which are linked through a U shaped driveway. A colourful wind mobile designed by Manrique sits proudly at the entrance. The main residence totals approximately 850 sq. metres (9,150 sq. feet). There are four en-suite bedrooms (2 doubles, 2 singles). 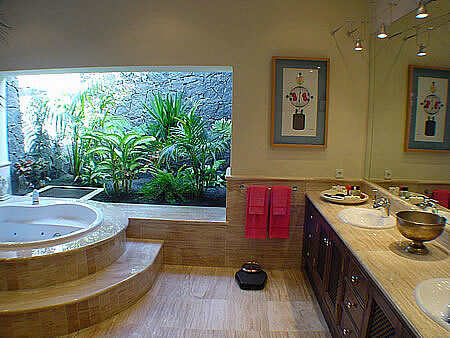 The master bathroom provides for a jacuzzi and seperate shower, while two bathrooms, including the master bathroom, offer a tropical garden. 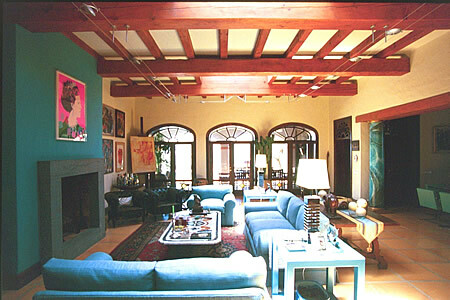 The living room/dining area encompasses 90 sq. metres (970 sq. feet) and has a lava fire place. 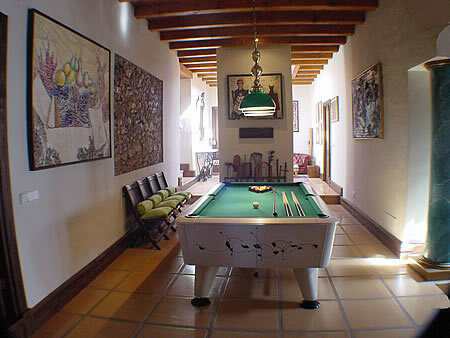 In addition, the residence has a study, a state-of-the-art Italian kitchen, a pantry and a recreation room. The house is wired for stereo sound, the study has high speed internet & fax access and the recreation area offers a pool table and cinema dolby surround system. A huge covered terrace area is accessed from the living room, the master bedroom and the kitchen. A true swimmers delight is found with the 10 x 5 metre (32 x 16 feet) heated swimming pool. Additional amenities include a pool bathroom, barbeque grill, table tennis, outdoor dining & seating areas as well as sunloungers. The property also provides for an attached staff apartment. 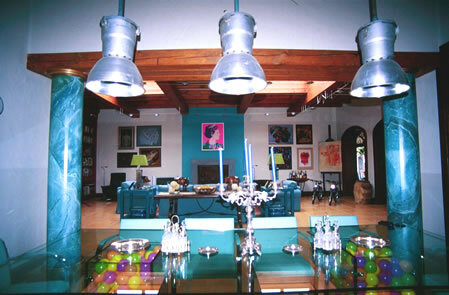 The interior design of the house successfully combines the contemporary with the classical. 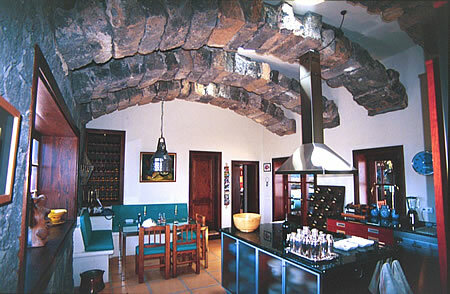 For example, original floor tiles from an Italian church sit comfortably with a modern timber ceiling with sky lights, or the state-of-the-art Italian kitchen is contained within original lava walls and possesses amazing stone arches across the entire ceiling, and traditional terracotta floors blend with modern recessed or suspended lighting. 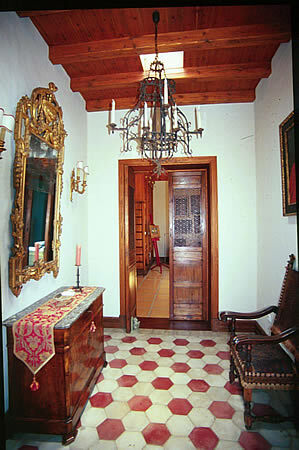 The house is decorated to an exceptionally high standard and incorporates unique art, antiques and artifacts personally collected by the owner and selectively acquired via worldwide auctions spanning the last 10 years. 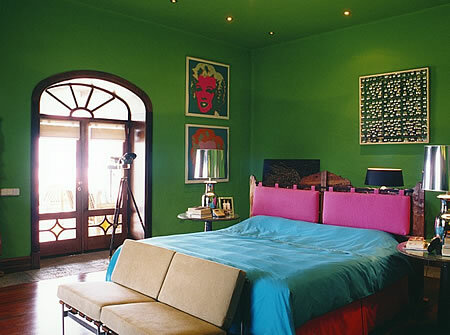 Externally there is a double garage, two double carports and two detached guest houses with striking artistic features.